Receive coupons and special promotions for our services. *Web Site Exclusive* 10 wash card only available online. 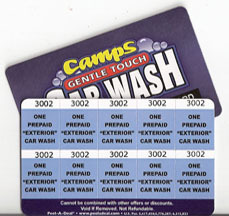 Only $6.00 per wash!